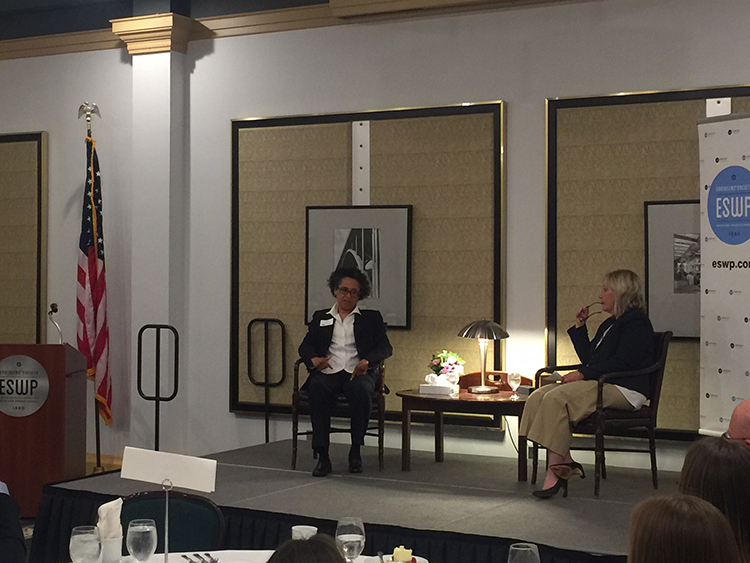 ESWP was honored to host Arletta Scott-Williams, Executive Director of ALCOSAN, at our May 22 Women’s Roundtable Luncheon, attended by 80 guests. ESWP Board Member Tanya McCoy Caretti (ARCADIS) served as Master of Ceremonies for the interview, which was very lively and informative, as well as entertaining! The gathering learned so much about Ms. Scott-Williams education and career path as well as family and life interests beyond ALCOSAN. Big thanks to both Arletta and Tanya for participating! If you have suggestions for future guests at ESWP’s Women’s Roundtable, please contact us! 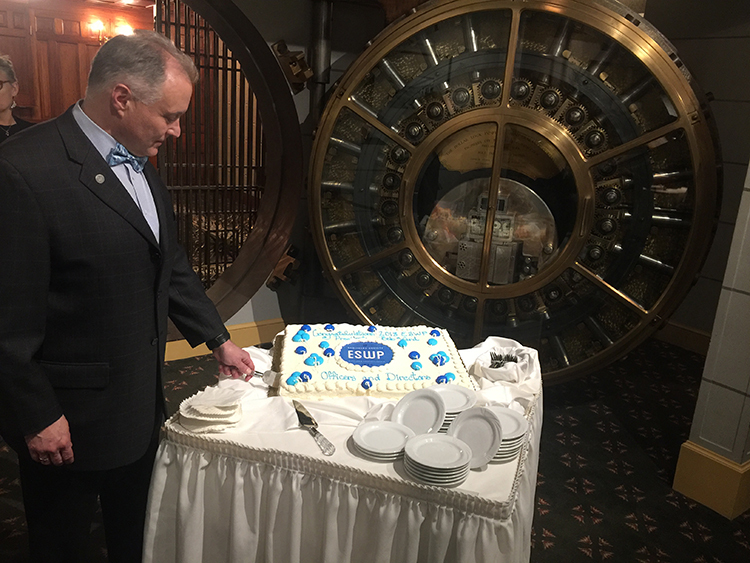 Great turnout last night at the ESWP President’s Reception, in honor of incoming President Robert J. Ward, P.E. (CannonDesign) and the entire Board of Directors. Guests were treated to a sumptuous buffet filled with delicious items from Chef Kevin. Everyone at the gathering enjoyed great networking as well – it really has the feel of a homecoming – it seemed that no one wanted the evening to end! Summer fun! The ESWP Young Member Forum combined forces with those of the ASCE, ASHE, EWB, TBP and SAME in hosting a Summer Social on August 19. 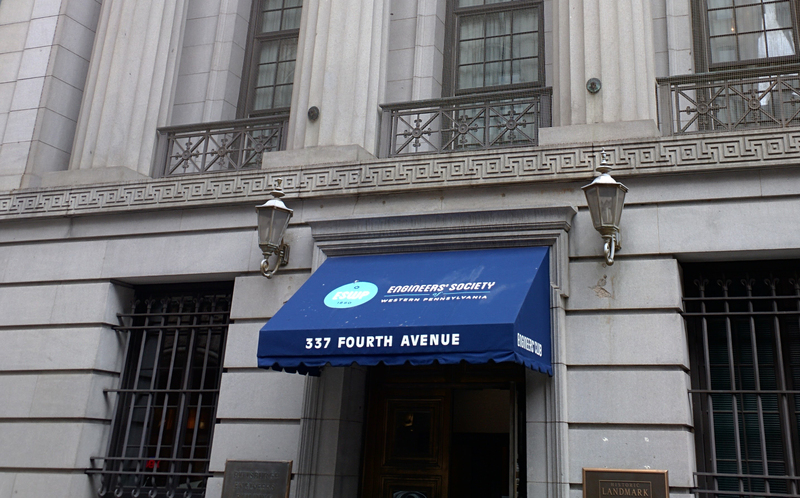 The event was held at the Pittsburgh Engineers’ Building and featured craft beers, and a special summer Sangria cooler, along with lots of great food. Each of the hosting groups provided a gift basket for door prize table, where attendees could try their luck at baskets of their choosing. Representatives from each of the hosting groups also previewed their upcoming continuing education activities. Keep an eye on the ESWP website for the next mixer, scheduled for the December holiday season. 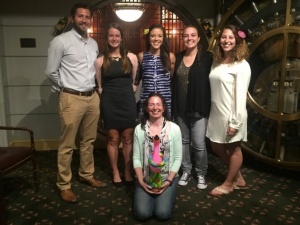 For more information on ESWP’s Young Member Forum, contact Outreach Coordinator Taylor Bombalski. Very promising news for graduating engineers as reported in the August 5 issue of the Pittsburgh Business Times…PBT reports on the local job market for engineers and the ways that local universities are preparing their students to fill these roles. Best wishes to all our student members, and remember, ESWP is here to help! 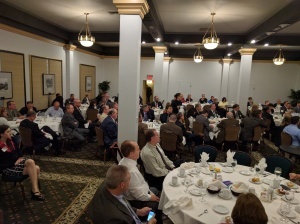 More than 100 ESWP Members’ and their guests enjoyed a delicious lunch and a discussion on the past, present and future projects with Mark Compton, PA Turnpike CEO. 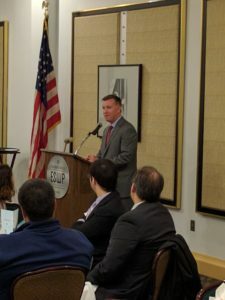 Thank you to Mr. Compton for taking time to speak at the ESWP and our members for another great event. Stay up to date with all the ESWP news at eswp.com. 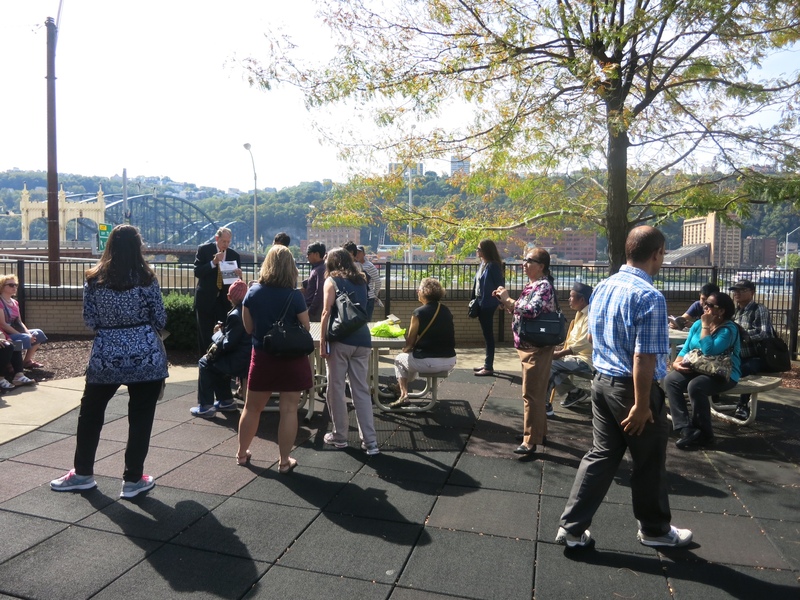 ESWP sends a big thanks to member Tom Leech for volunteering to speak at the Sept 25 Greater Pittsburgh Arts Council walking tour, which hosted many international visitors. 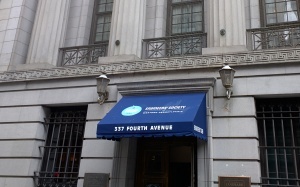 Our new awning is up! Another step in our new “look”. Stop in for lunch M-F, 11:30am-1:30PM to see what else is happening at the club. Welcome to the new ESWP website! We have been hard at work over the last several months redesigning a site that is dynamic, modern and scalable to fit all of your devices, including handhelds and portables. Please spend some time browsing our new layout and let us know what you like and where we may still need to make improvements. One thing we learned for sure through this conversion: we have an extensive website filled with a lot of information that serves a variety of stakeholders. Like all active websites, we will continue to work on improvements as we move forward. In the meantime, enjoy the newly designed ESWP website and please share your feedback with us!